I discovered The Skin Obsessor on Instagram a few months ago and immediately started following her. Long story short: She posts some of the most honest and informative stuff about skincare (product reviews as well as what to eat to help your skin look clear and super healthy) I've seen anywhere. Yeah, I'm a fan. That's why I asked her to be part of this new spinoff of the 'My RI Life' series, featuring cool people from outside of RI. So read on and get some great ideas for where to go on your next trip to NYC and (equally as important) some fantastic skincare tips for summer. Palma: If you asked me to choose my favorite restaurant in all of New York City, I'd most likely have to say Palma. Although it's nearly impossible to choose, this spot is one I can't live without. Now, I live just around the corner which means I'm here at least once a week. It's a cozy and charming find located on Cornelia Street in the West Village. 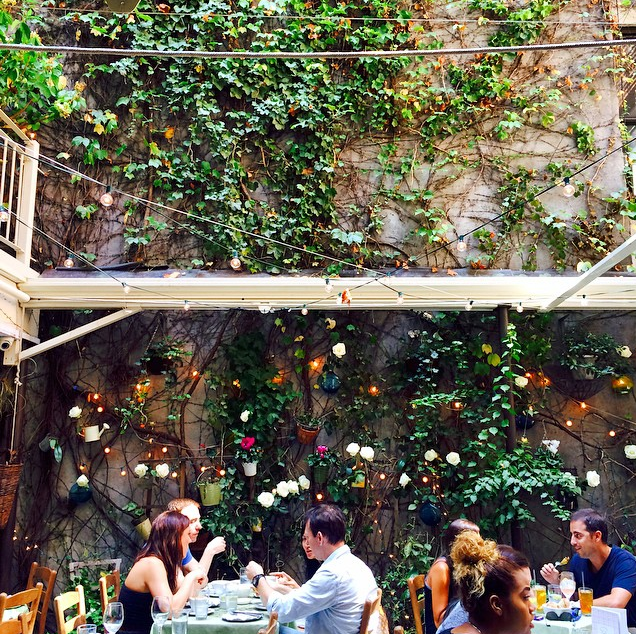 They have a hidden garden in the back that transports you out of the city - especially once the rosé starts to flow. For brunch, I suggest the prosciutto and goat cheese omelet. For lunch or dinner, I suggest the branzino. Lafayette: My go-to coffee spot. This French beauty is located on Lafayette street, and their lattés are some of my favorite in the city. Their café area in the front also houses beautiful pastries and all the bread your heart desires. Something sweet: Ladurée for macarons (Soho or Upper East Side); Sundaes & Cones (East Village) for ice cream - some of the the best flavors, including my favorite, lavender! Random top picks: Maison Kayser has the best croissants in the city (I visited in Paris, too! ), and Rosemary's in the West Village has potatoes that will change your life. Kate Spade (5th Avenue and 20th): Right around the corner from Maison Kayser, Kate Spade is where I'm often found when looking for something special. 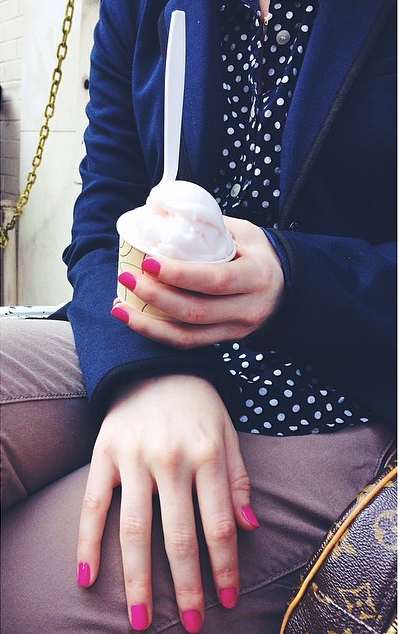 My style is pretty classic and feminine, with a French flair. Caudalie (Bleecker Street): I live right around the corner, which is nothing but dangerous! As one of my favorite skincare brands (if not my most favorite), I'm often found popping in to say hi to the staff or picking up a couple of things. A night at the ballet: I'm quite fond of taking myself to Lincoln Center for either a New York City Ballet or American Ballet Theater performance. Ballet was what made me fall in love with the city years and years ago, so every time I go to Lincoln Center I am reminded of where it all started - not to mention, I spent 15 years as a ballet dancer myself. Flowers: A weekend ritual of mine, especially during peony season. My favorite florist is located on Greenwich Avenue, West Village Florist. Toby's Estate Coffee: Whoever designed this spot is a genius. There are multiple Toby's throughout the city, but this one is attached to Club Monaco on 5th Avenue (in the Flatiron District). This haven boasts everything you could want for an afternoon hangout: coffee, books, and flowers. That's right, you get shopping, a beautiful coffee shop, a florist, and a bookstore all in one. Tata Harper Purifying Cleanser: This cleanser is a dream. It has a unique gel/clay texture, deep cleanses without stripping, clarifies, refreshes, and hydrates. The ingredients are phenomenal (are you familiar with Tata Harper's all natural philosophy?) I try to rotate cleansers in my routine, but I could easily use this one every day. 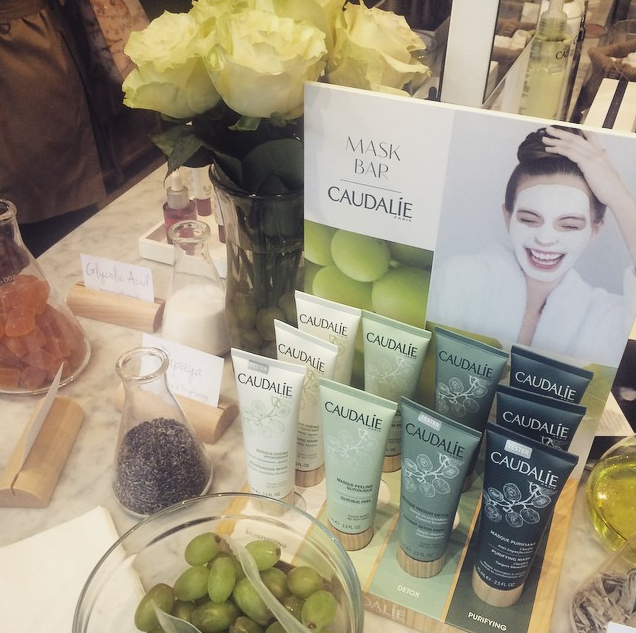 Caudalie Instant Detox Mask: Cannot speak more highly of this! I've been using it 2-3 times a week nowadays, whether on my full face or in a targeted area. Check out my instagram (@skinobsessor) for a more detailed review! Caudalie Grape Water Spray: One of my holy grail products that I use in each and every season. Refreshes, tones, hydrates, soothes, and just makes your face feel wonderful. It also can be used on top of makeup. Nip & Fab Glycolic Fix Pads: I was weary when initially picking these up from CVS, but now I buy them in bulk. They are gentle enough to use every day, deliver the perfect amount of acid for a daily refinement (2.8% glycolic), contain brightening and hydrating ingredients to balance, and have an effective pH to actually restore the acid mantle of your skin. Click here to see more from The Skin Obsessor. Photo Credits: All Photos (except for products) courtesy of Skin Obsessor. Product pix courtesy of Google Images.